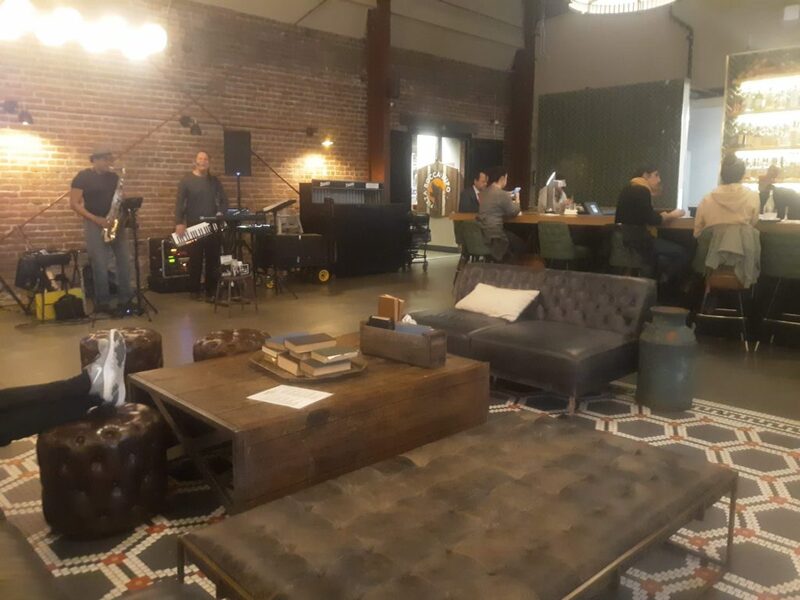 Three sisters located in San Jose, California is a bar with a food court attached serving the public live music and a comfortable place to dine, drink, relax and get work done, if need be. 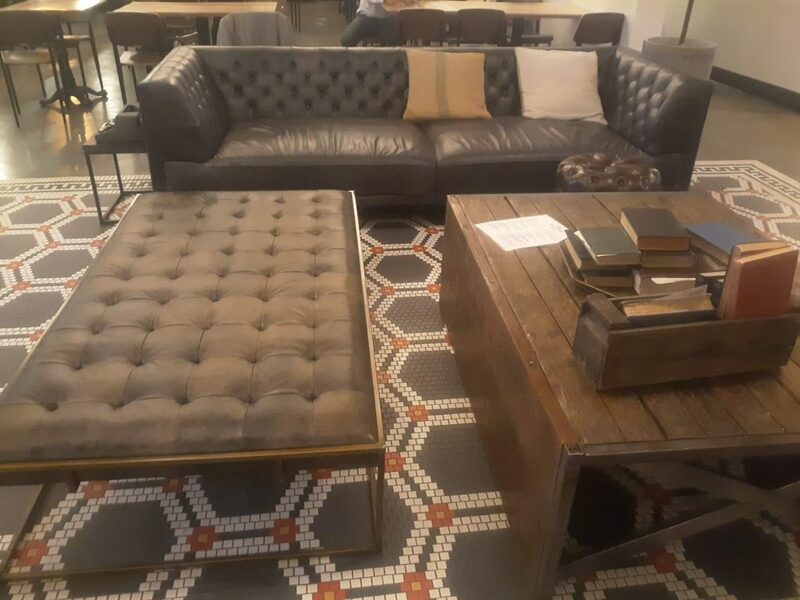 The spot features a full bar with multiple seating areas with live music from acoustic performances to DJ sets. 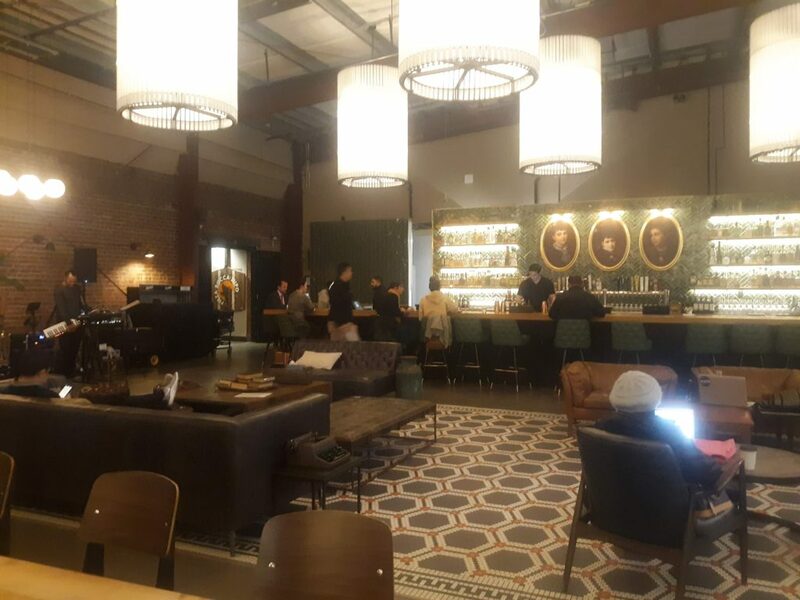 Attached to the main lobby is a larger food court with more of a cafeteria feel but the attraction is the design of the location from the exterior design to the interior design. 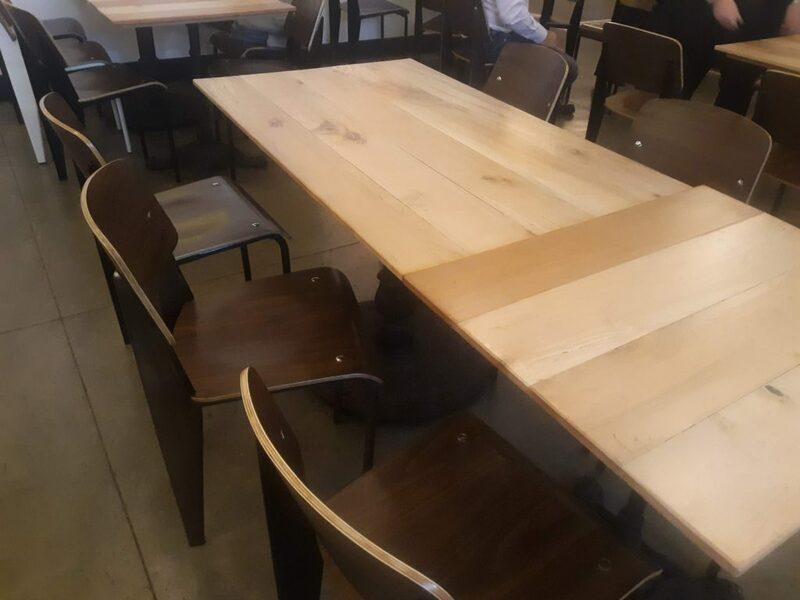 Large wood tables with mid-century modern plywood chairs like those found in a conference room are off to one side for large parties or those working on laptops. 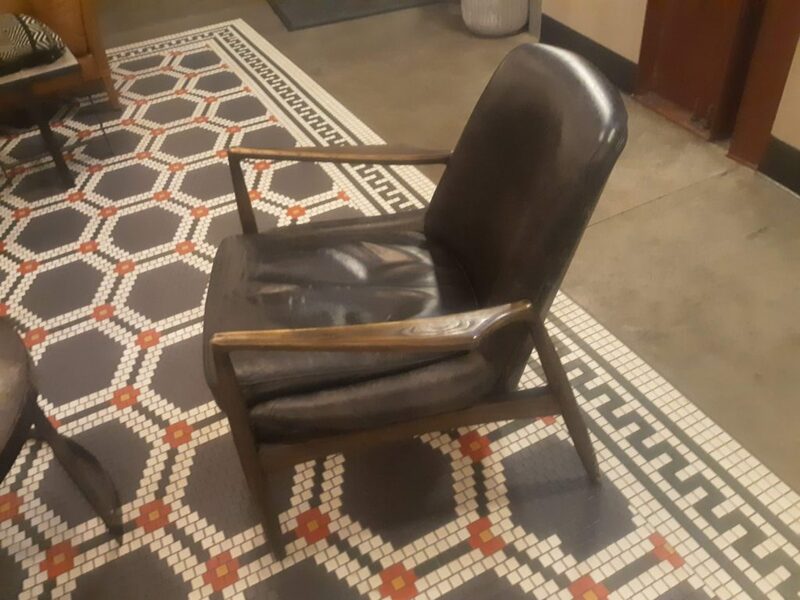 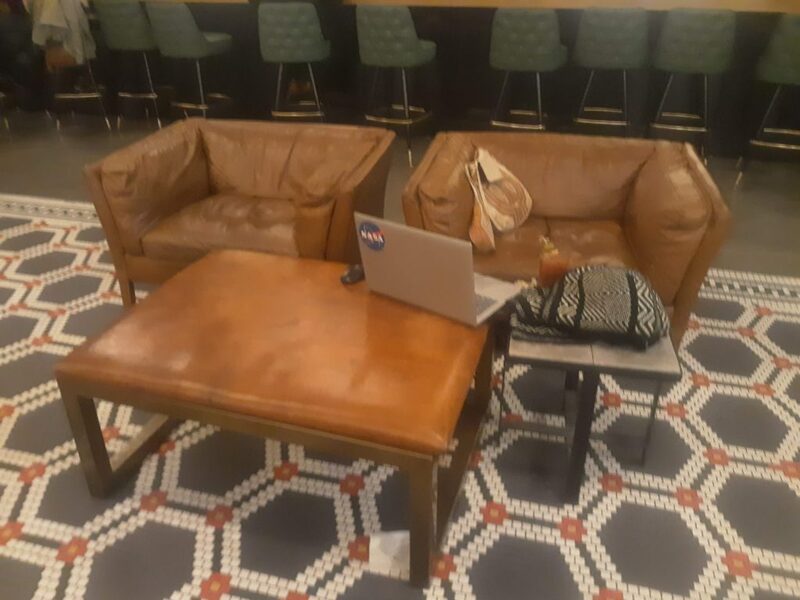 In the center of the bar, a lounge area complete with vintage mid-century modern sofas and comfortable leather seats with industrial rustic accents like an old metal typewriter and large patina milk canister. 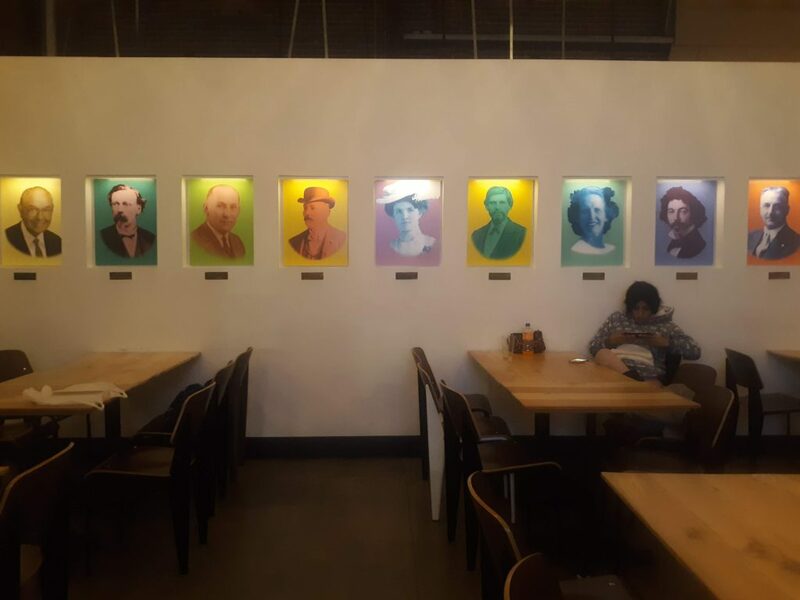 The wall art is in an andy warhol-esque fashion with brightly colored pop art paintings of historic figures such as poets, writers and scholars, neatly aligned against one white wall of the establishment. 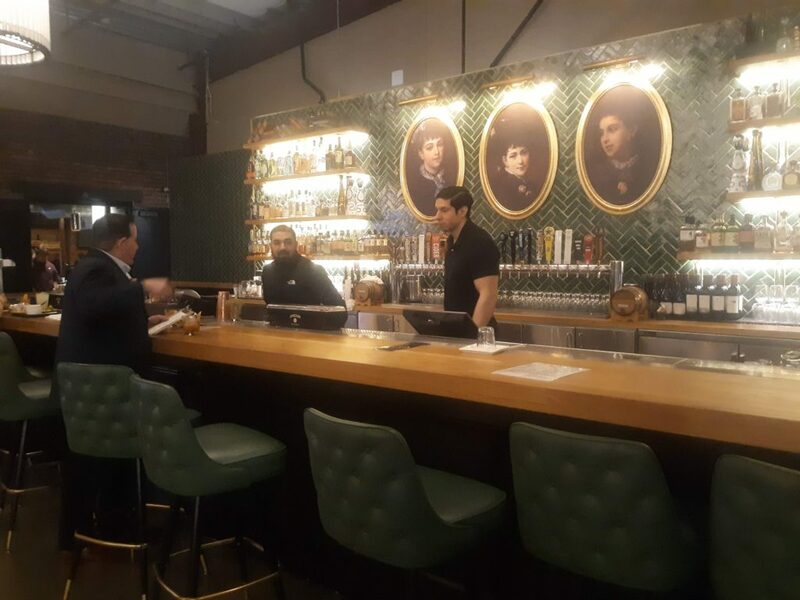 Behind the bar, large portraits with gold, oval victorian frames adorn the wall. 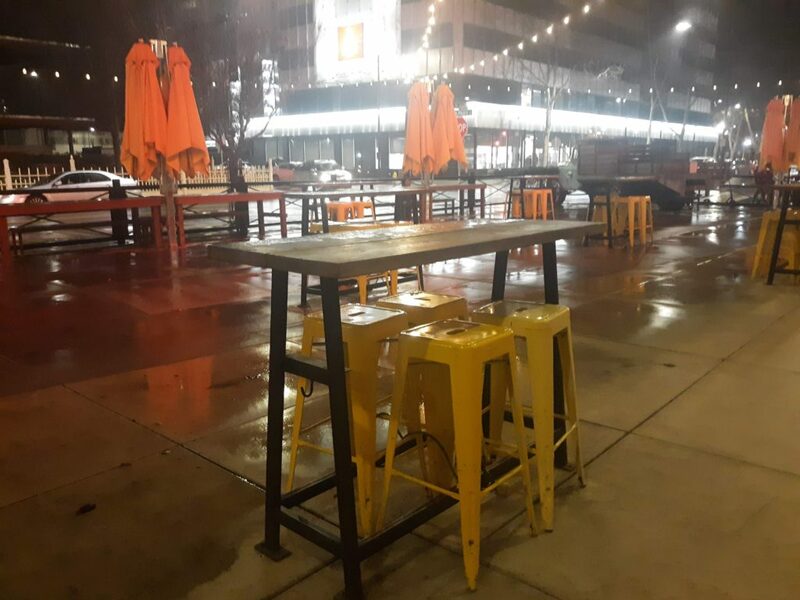 Outside, yellow, metal bastille stools surround the bar tables for contemporary outdoor seating. 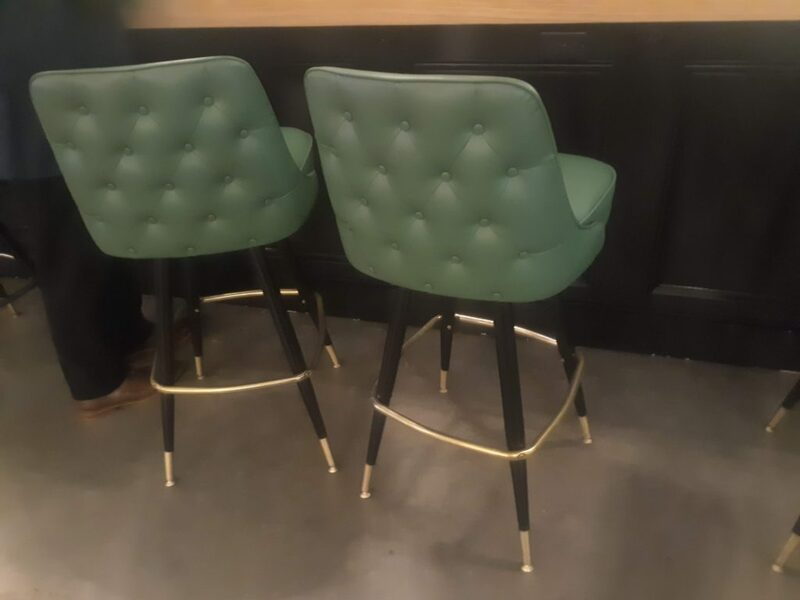 Whether you are getting a few drinks after work, grabbing a bite to eat, in the mood to dance or getting some work done, Three Sisters is a restaurant where class meets contemporary, where vintage meets modern and where early 1900s style meets present day design.